WAIT! Don’t go near a timeshare tour until you read this. 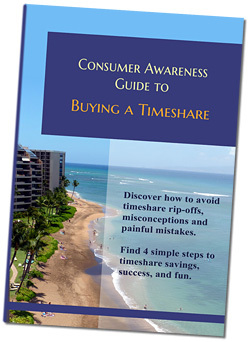 Sign up for our newsletter, and get this FREE Consumer Awareness Guide, with critical information to know before you spend a dime on a timeshare. Don’t sign anything until you have all the facts. We respect your e-mail privacy and won’t sell your address. It’s only used to share this information with you.